House full of clutter? Budding entrepreneur? Fear not, help is at hand. Anyway, last chance to grab it before Christmas because today is the last posting day (exc special delivery) before Xmas. 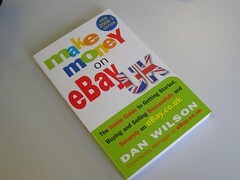 I’ll be popping down the Post Office later so place your orders in my eBay Shop now. Or try Amazon.